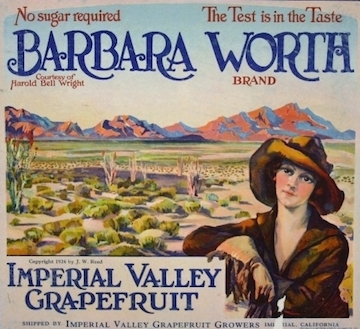 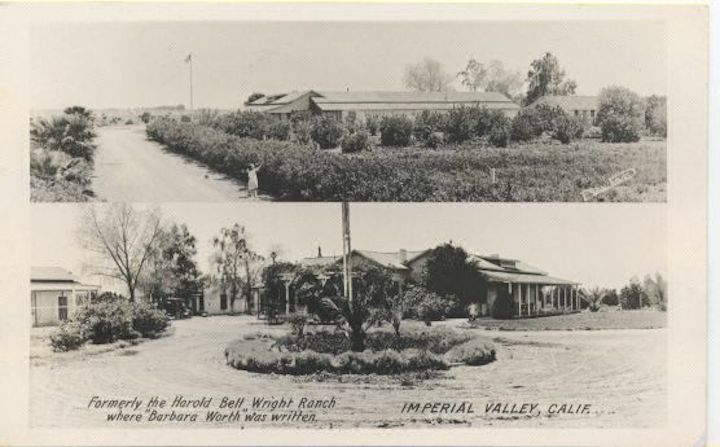 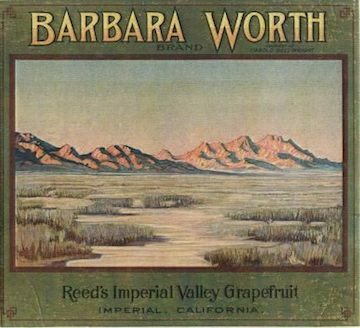 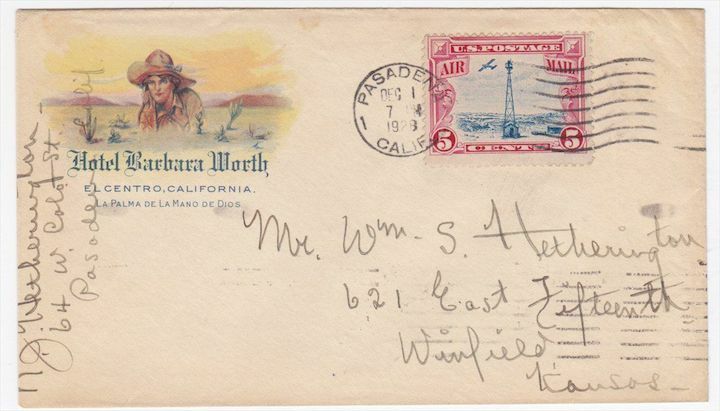 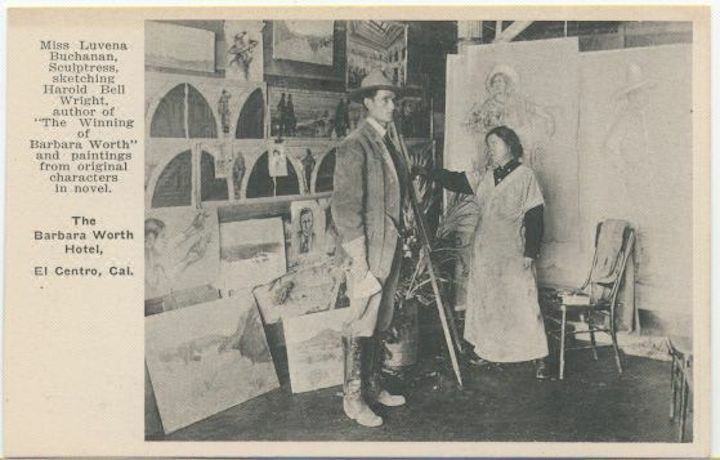 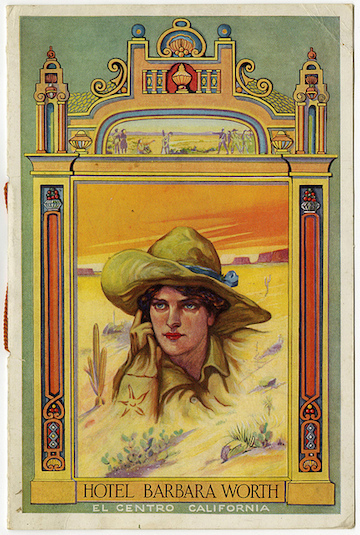 In 1911, Harold Bell Wright published The Winning of Barbara Worth, a historical novel set in the Imperial Valley. 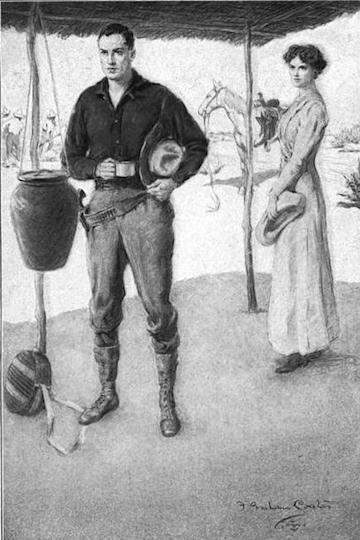 The book tells the story of an engineer building an irrigation system for a desert community who competes with a cowboy for the affections of a farmer’s daughter. 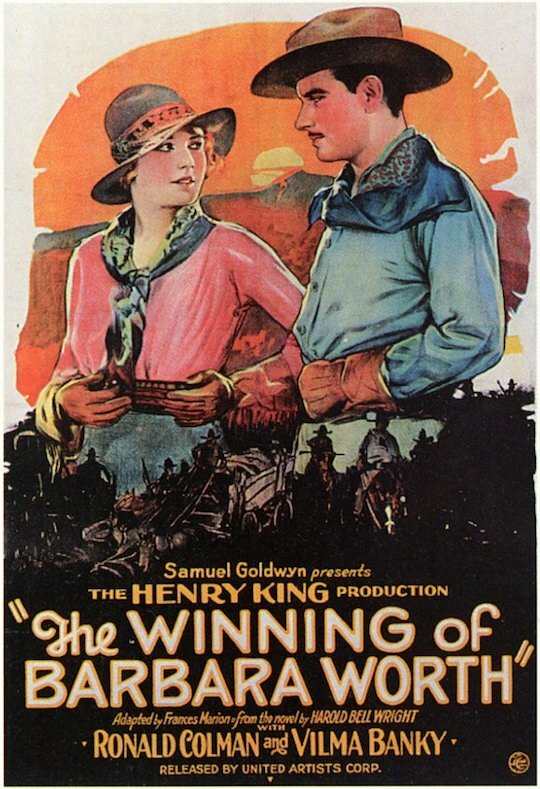 The story was made into a silent movie in 1926. 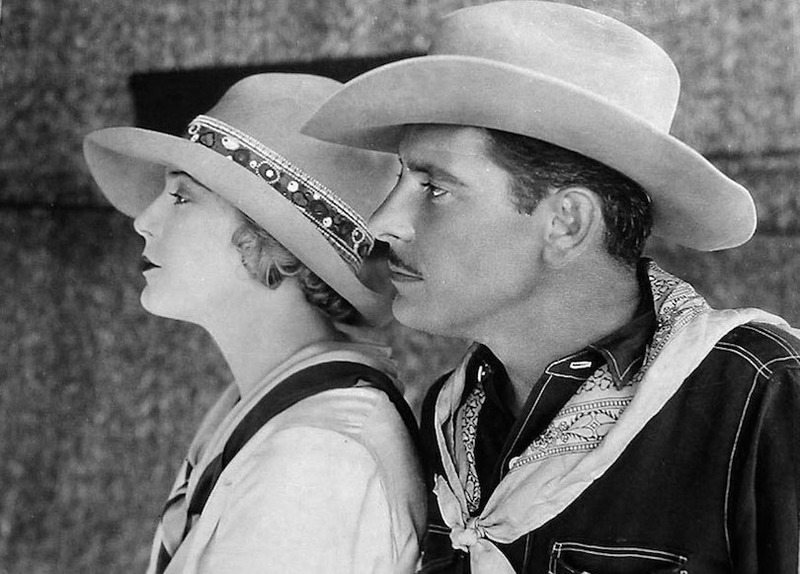 It starred Ronald Coleman, Vilma Banky, and a young Gary Cooper. 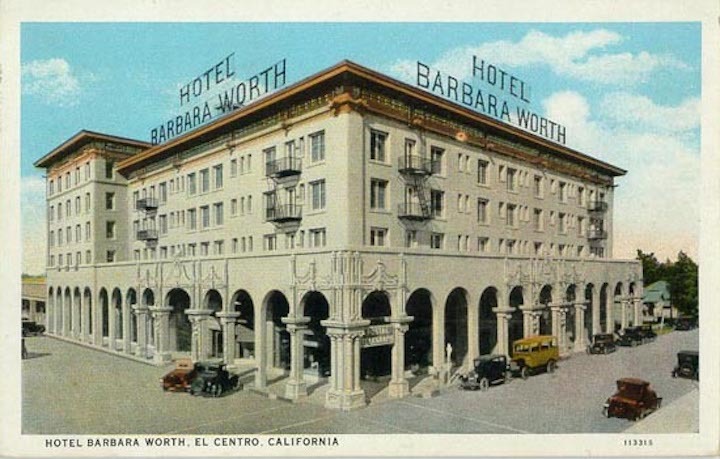 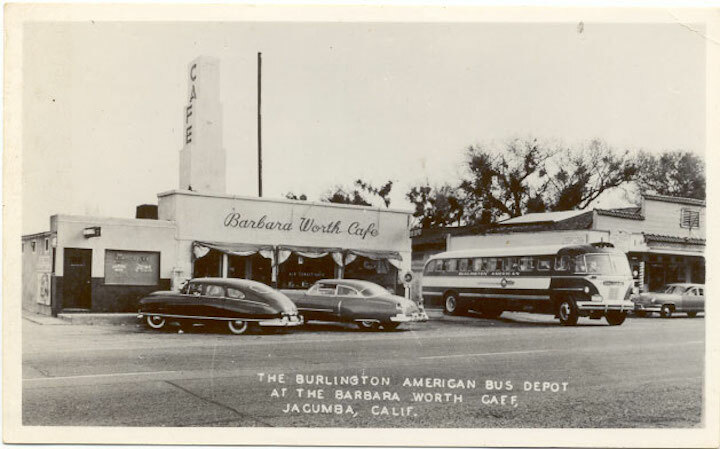 Finally arriving at the point of this posting, Barbara Worth was also the name attached to the grand old hotel of El Centro. 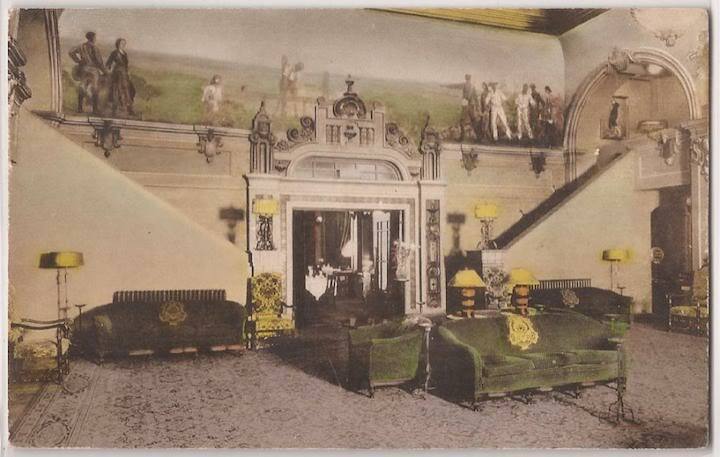 There are many more postcards of the hotel here. 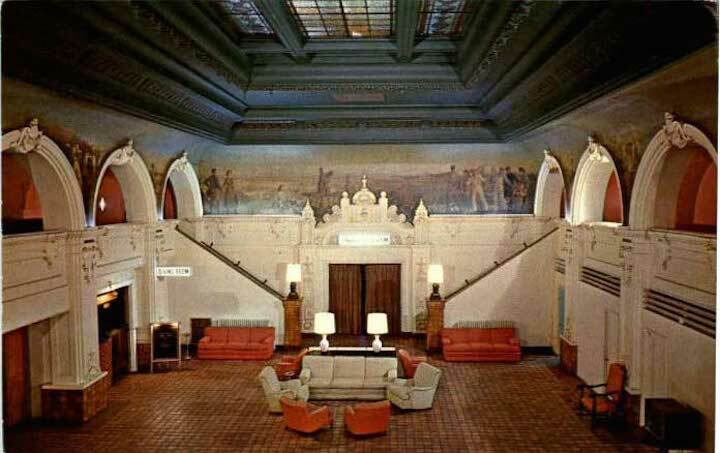 This photo shows the lobby in the late 1950s when the Mission style had been replaced with an ode to I Love Lucy. 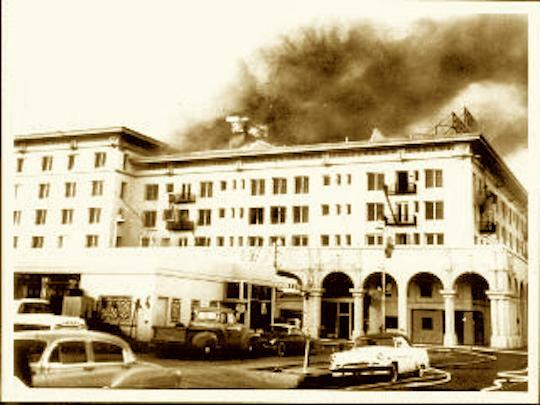 Fire took the hotel, orange couches and all, in 1962. 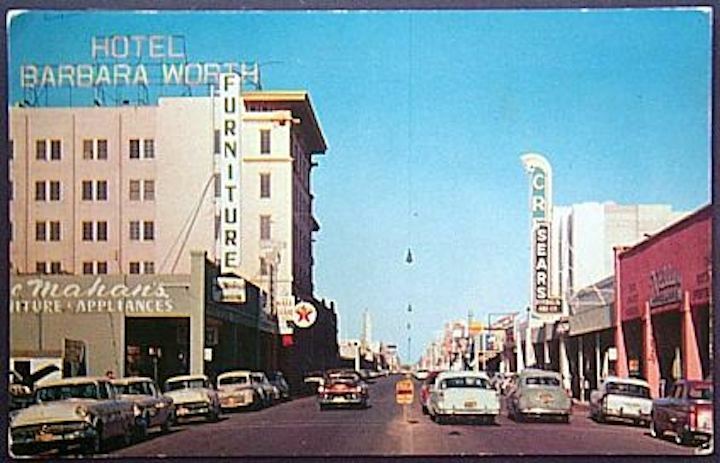 When I first went to El Centro in 1972, the lot where the hotel once stood had been turned into a used car lot. 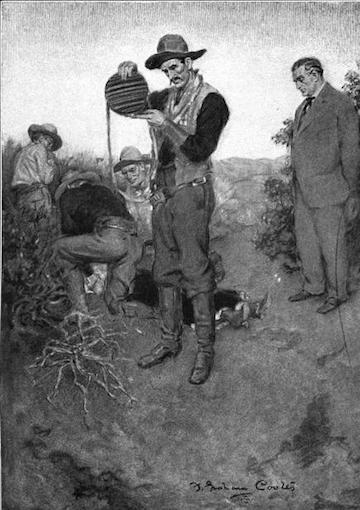 But I heard about the hotel from old-timers, and I had a couple of fascinating conversations with Sheriff Fox about his hunch that the fire was set as a small part of a scheme that would have been worthy of a no-good-guys Jim Thompson story with grifters, losers, sociopaths, and nihilists aplenty. 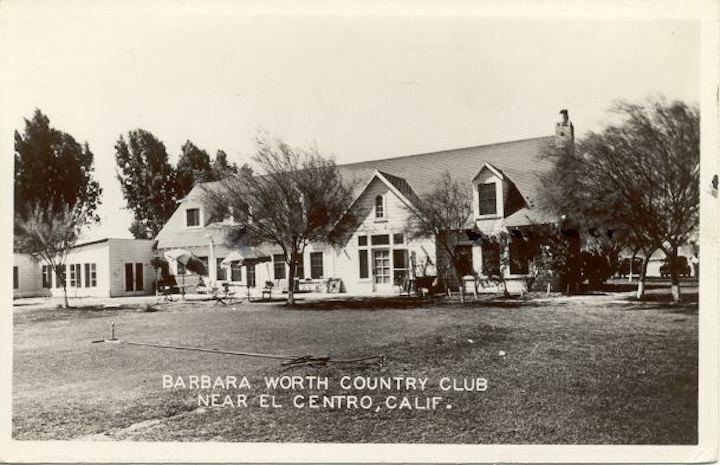 And a country club named after her in Holtville, east of El Centro. 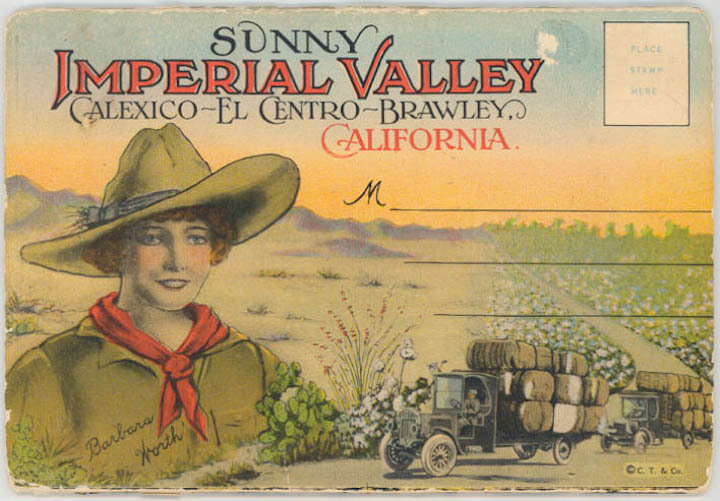 But she is gone in El Centro. 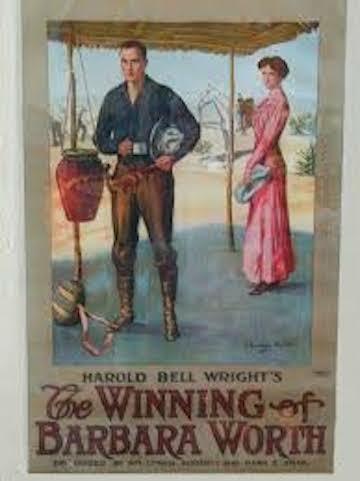 We can watch the movie, and see the young faces of actors who are long dead, and imagine a grand hotel in a town filled with hope and dreams. 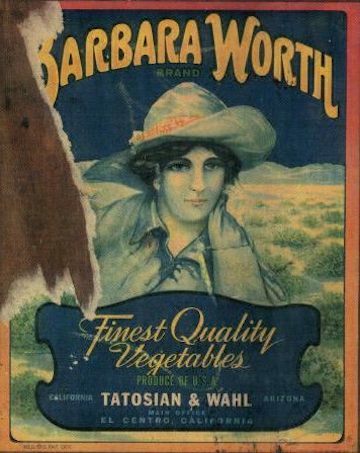 I showed this collection of photos to my friend and asked for his take on Barbara Worth. 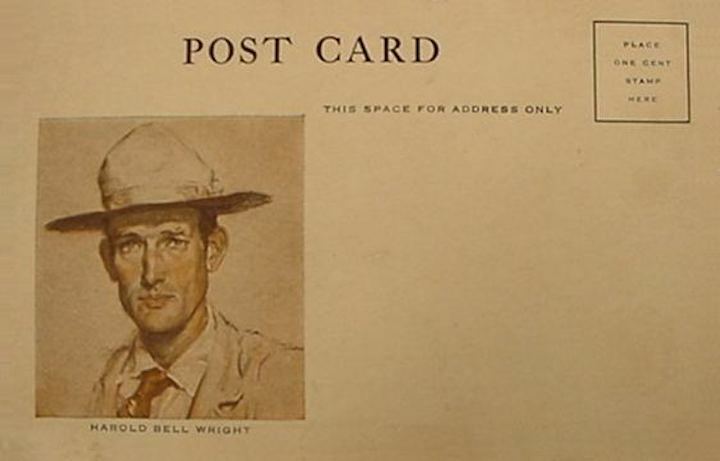 He was lost, though. 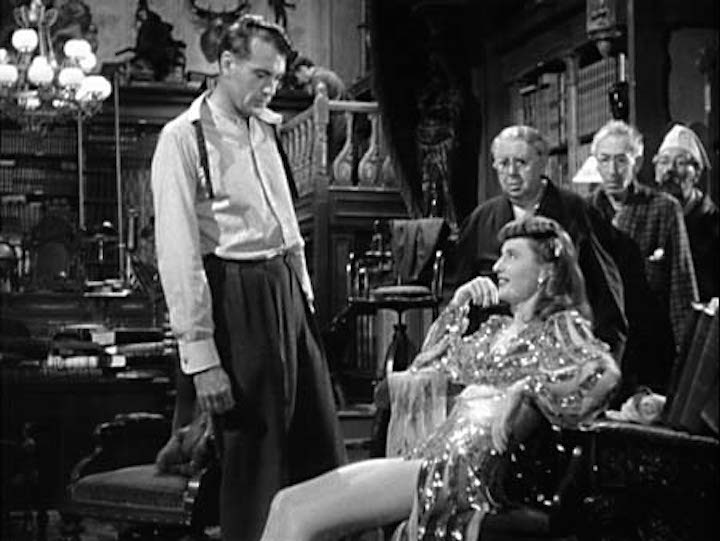 Mentioning Gary Cooper took him to Ball of Fire, in which Cooper plays a professor doing field work on slang for an encyclopedia. 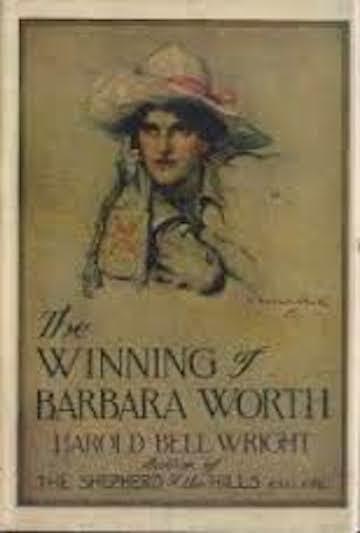 Cooper stars with Barbara Stanwyck, and when it comes to Barbara Stanwyck, my friend is off the rails. 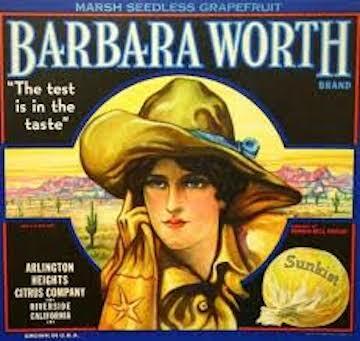 Meanwhile, though, back at my ranch – or hotel – what did my friend think of Barbara Worth? 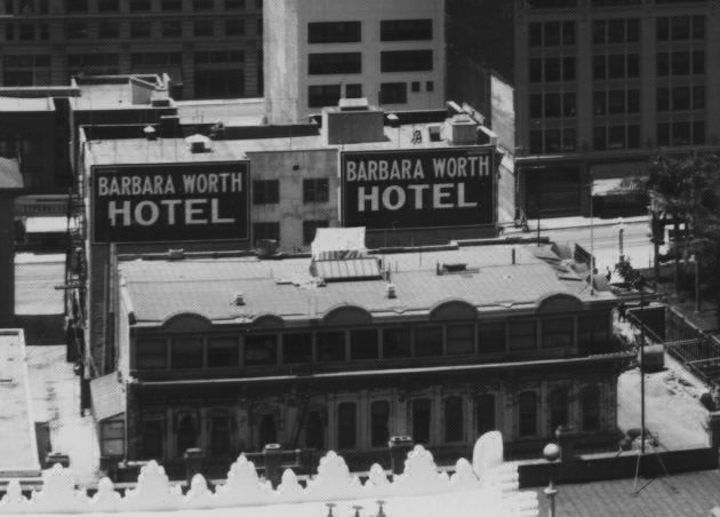 My great-grandpa used to make my dad change the lightbulbs on the Hotel sign before it burned down. 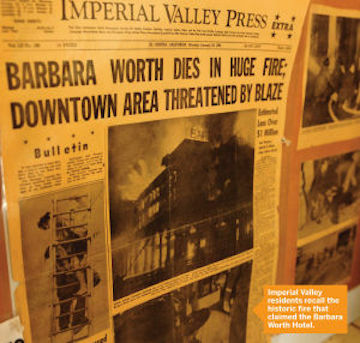 I have the newspaper about the fire framed.thanks for teaching me a little more about it. 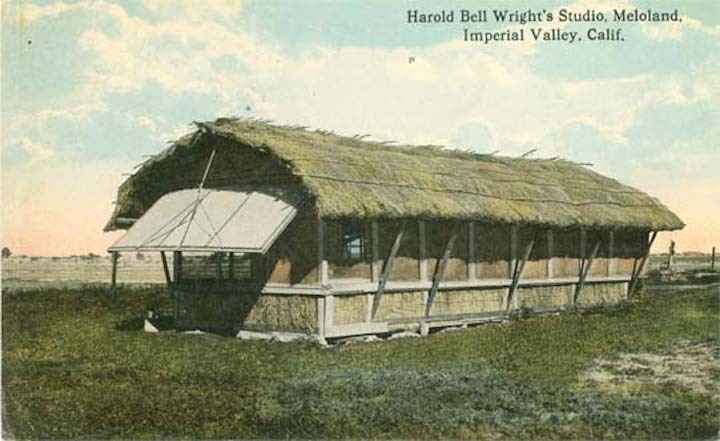 There is a nice exhibit at the Pioneer’s Museum regarding the saga at Hotsville. 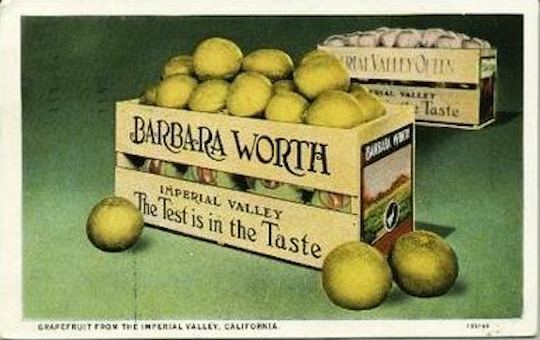 Really great! 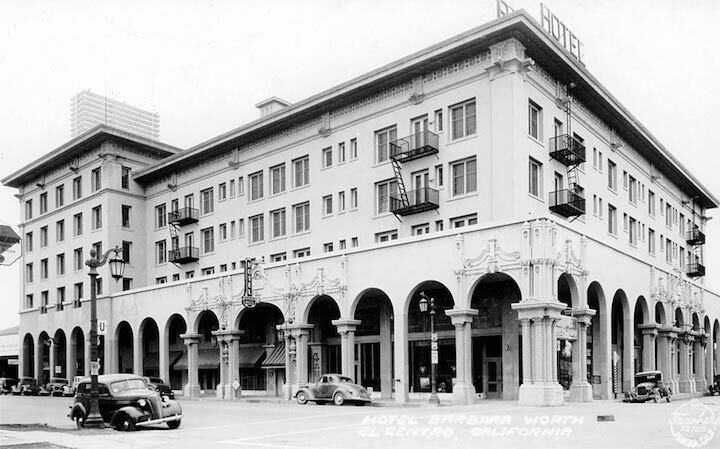 I stumbled onto this .somehow,I was 12 years old when the old hotel burned I remember we must have lived close because its the first building I had ever seen burn . 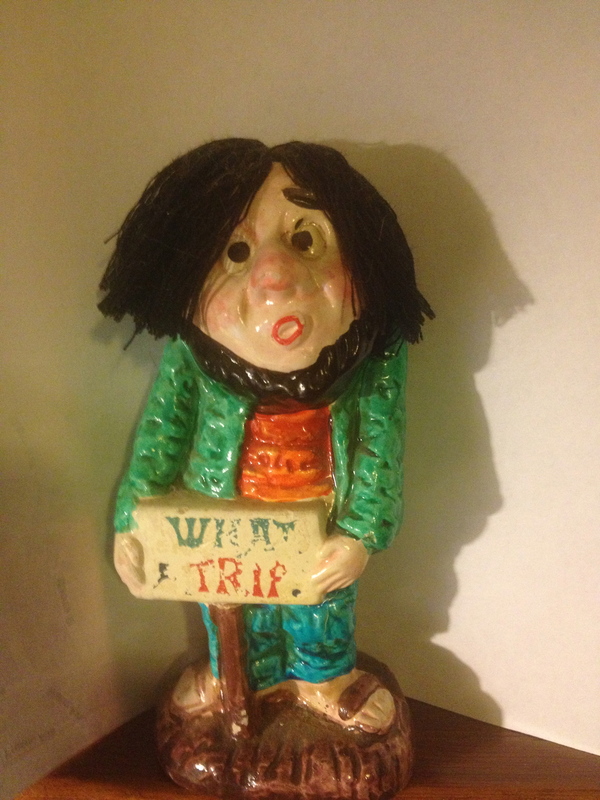 People were running everywhere around an everyone came out to see the terrible blaze .